It’s official. According to the Perl Foundation press release, the YAPC::NA::2015-SLC conference will be held at the Little America Hotel in downtown Salt Lake City, Utah. Room Rates are discounted for YAPC attendees who reserve their room prior to the expiration of the Early Bird rate, which ends March 1, 2015. The Little America Hotel is a beautiful downtown Salt Lake venue, with excellent food, and easy access to both the airport and downtown shops and restaurants. Ground transportation from the Salt Lake City Airport to Little America is provided by the TRAX light rail system. The TRAX ride is about $2.00 each way, with stops at the airport and immediately in front of Little America. Many shops and restaurants are within walking distance of Little America. For those who prefer a less pedestrian mode of transportation, buses and light rail are free in the downtown area. 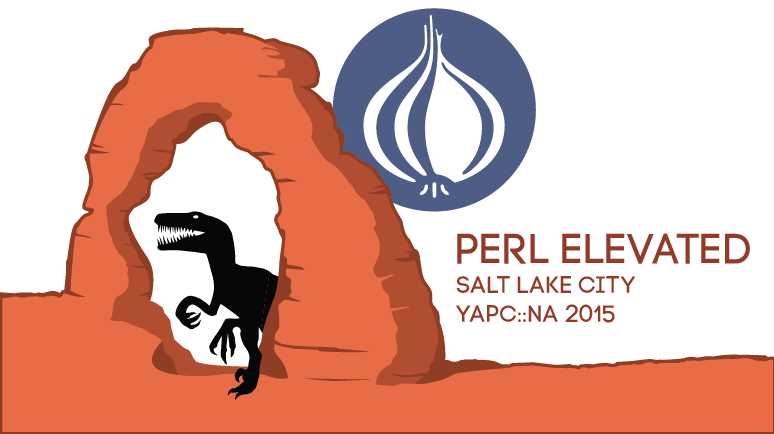 YAPC::NA::2015-SLC is being co-organized by a team of individuals from both the Perl Foundation, and the Salt Lake Perl Mongers. You are probably already familiar with many of the faces of the Perl Foundation group, and they’re doing a fantastic job, but I’d like to take a moment to introduce the Utah “boots on the ground” contingent of the organizing team. David Oswald — I organize Salt Lake Perl Mongers, and am on the core organizing team for the OpenWest conference, produced by UTOS (Utah Open Source). OpenWest is the largest tech conference in Utah, with an attendance of around 1200 in 2014. Last year part of my responsibilities were running the Perl track, which went for three days and featured Mark Jason Dominus as a special guest speaker. On irc I go by davido_ (or something similar). Doran Barton — Doran co-produces Salt Lake Perl Mongers. He also is on the core organizing team for the OpenWest conference where his focus has been on video production. On IRC he shows up as fozzmoo, or fozz, depending on his (moo)?d. James Lance — James is another member of the OpenWest core team. In the past he’s handled operations and volunteers, though he aspires to “anything other than operations and volunteers”. And he’s a frequent face at Salt Lake Perl Mongers. On IRC James goes by neybar. There are others among Salt Lake Perl Mongers who are contributing, but these folks have been with it from the start. You may notice several common threads. We’re all Salt Lake Perl Mongers, and we all also happen to work on the OpenWest core organizing team. Hopefully our experience with that annual conference will help us to make YAPC::NA::2015 as elevated as it can be. If there is anything you would like to talk about regarding YAPC, Utah, the venue, or anything else that’s on your mind, come find us in #yapcadmins on irc.perl.org. We’re thrilled to bring you YAPC! On the front page you’ll notice our YAPC::NA15-SLC logo. The logo and the “Perl Elevated” slogan are patterned after the Utah license plate, which itself was inspired by the iconic symbol of one of Utah’s five National Parks; Delicate Arch at Arches National Park. The Raptor logo is also well-chosen for this image. Registration for the conference is now open, and may be accessed via the website. The Little America Hotel (our YAPC::NA::2015 — Salt Lake City venue) is located near the south portion of downtown Salt Lake City, Utah. While the area is walkable, often it’s easier to hop onto the TRAX light rail for a stop or two. Rides in the downtown area are free as long as you stay in the Fare Free Zone. Here’s an example: The City Creek Center is a beautiful, centrally located indoor/outdoor mall with restaurants, shopping, and lots of activity. It is about 0.8 miles from Little America, which would take about 20 minutes at a leisurely pace on foot. But you can jump on the Green Line or Blue Line Trax light rail for two stops, free, and you’re there quickly without breaking a sweat. The light rail trains are spaced just a few minutes apart and typically run until around 11:30pm. The YAPC::NA::2015 wiki provides details for this and other transportation options. Have fun in Salt Lake City! The Call for Papers for YAPC::NA::2015 — Salt Lake is open. The CFP deadline is January 15th, 2015, so you have a month to get your ideas onto paper and turned in for the selection process. You can submit your talk proposal on the YAPC website’s talk submission page. If you’re not sure you have a great idea, submit it anyway; let the community decide. If this is your first time speaking at YAPC, or you would just like a little extra help polishing, get in touch with your local Perl Mongers Group; they would love to help. Or visit irc.perl.org#yapc where there are also many friendly and helpful individuals who would be willing to offer tips, review slides, and so on. YAPC is all about the Perl community, after all. This year we’re looking for talks spanning a wide range of skill levels. If you have a “basic” or “beginner” talk, don’t be shy about submitting the proposal; we want to reach out to newcomers to Perl. But of course we wouldn’t want to turn our backs on the experts either. The biggest loss is the great idea that never gets submitted. So plan on it: CFP deadline is March 1st, 2015! We want to hear from you.